Páraic in Spain: You've seen one cathedral, you've seen them all? Not until you've seen the Mezquita in Córdoba, you haven't! Guide books try to describe the beauty of this mosque-turned-cathedral, but even with high-quality photos they can't do justice to the place. And I'm not going to try. It's truly a spectacle that you have to see to appreciate. I almost didn't bother going inside as I'm all churched out after the other fabulous examples I've seen, though I had admired the bell tower – built around the minaret – and extensive perimeter wall and visited the gardens. But on my last morning in the city I had three hours to kill before my train, so I popped in as it was just a few minutes' walk from my hotel. Boy, am I glad I did! It's simply breath-taking! Originally the site of a Visigoth Christian church, the Islamic invaders preserved elements from the original and constructed a beautiful mosque in what became the biggest and most sophisticated city in Europe. 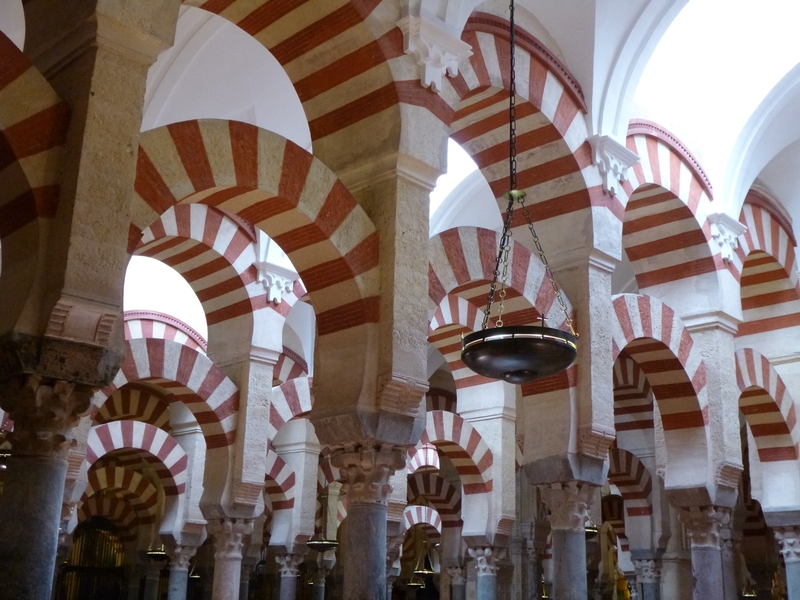 When the Catholic Monarchs recaptured Andalusia they converted the mosque into a church.